Quesmel, centre, not only provided serious power in the scrum he was a regular source of quality ball from the lineout. 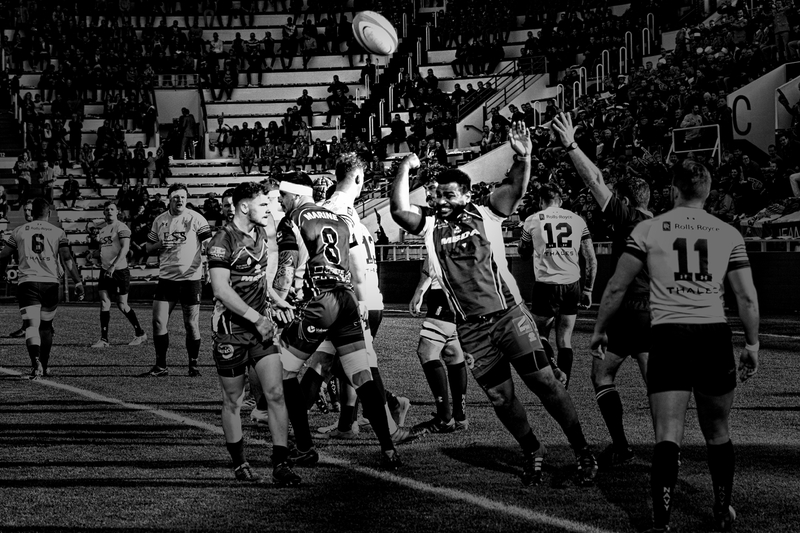 I do not take many images of hte pre match line ups but the low sun at the Stade Mayol provided great light. 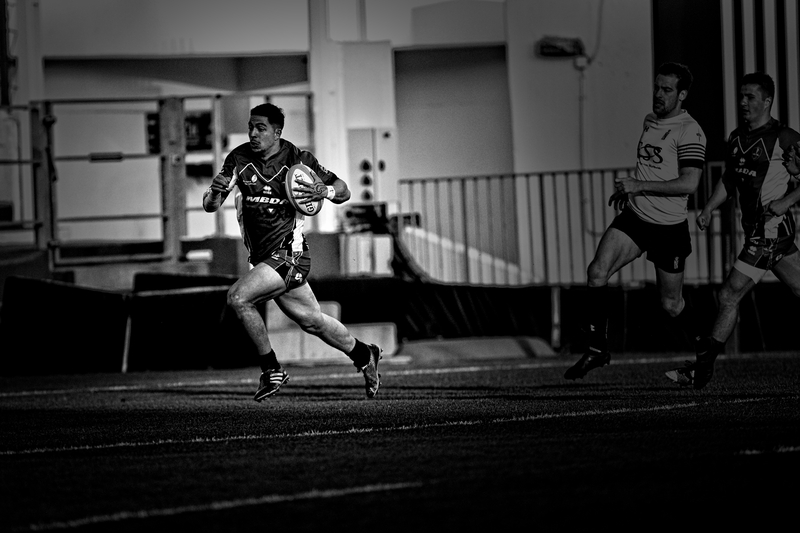 The work rate of Aanikid throughout the first half was immense and resulted in two tries. Although he was substituted early in the second half he was my man of the match as he had set the tone of the home teams performance. The 14th edition of Le Crunch was probably played in the best stadium atmosphere the series of matches has witnessed, surpassing the game of 2010 when it first moved to Stade Mayol. 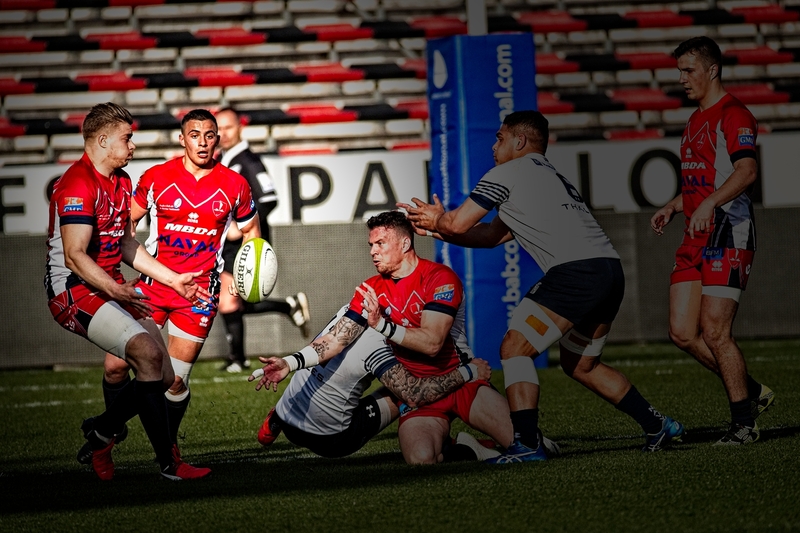 The Marine Nationale fed off this atmosphere and produced a display of rugby that meant the result was probably never in doubt, even when at one stage the Royal Navy had recovered from the opening onslaught to close from 8-0 to 8-6. The final score of 33-14 was a fair one. This blog is using images produced for a project I undertook and uses two different templates for the photography style. One image has been reproduced in both styles so that a direct comparison can be made. 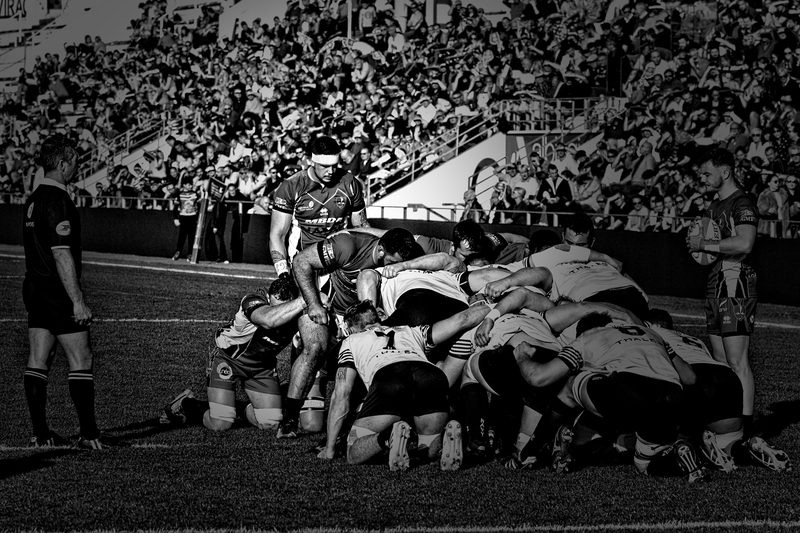 La 14e édition de Le Crunch a probablement été jouée dans l'atmosphère du meilleur stade de la série de matches, surpassant le match de 2010 lors de son premier déplacement au Stade Mayol. 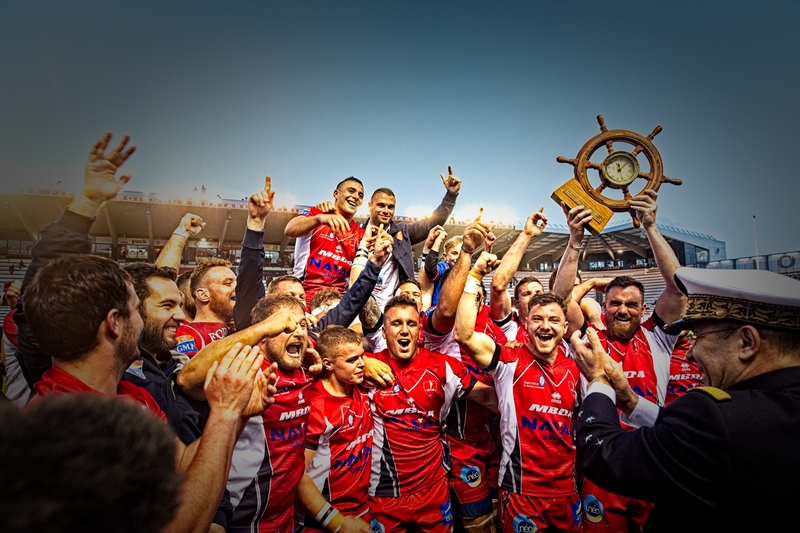 La Marine Nationale se nourrissait de cette atmosphère et produisait une démonstration de rugby, ce qui signifiait que le résultat ne faisait probablement aucun doute, même si la Royal Navy s'était remise de l'attaque initiale pour fermer de 8-0 à 8-6. 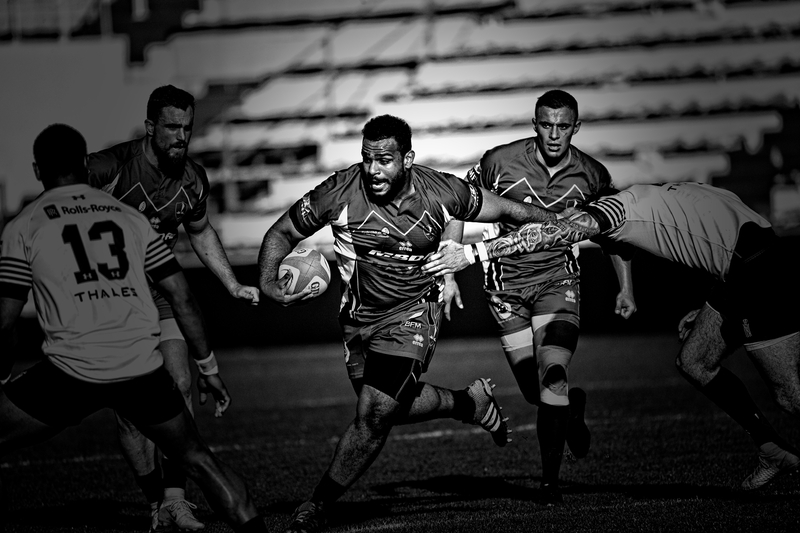 Le score final de 33-14 était juste. Ce blog utilise des images produites pour un projet que j'ai entrepris et utilise deux modèles différents pour le style de photographie. Une image a été reproduite dans les deux styles afin qu'une comparaison directe puisse être faite. 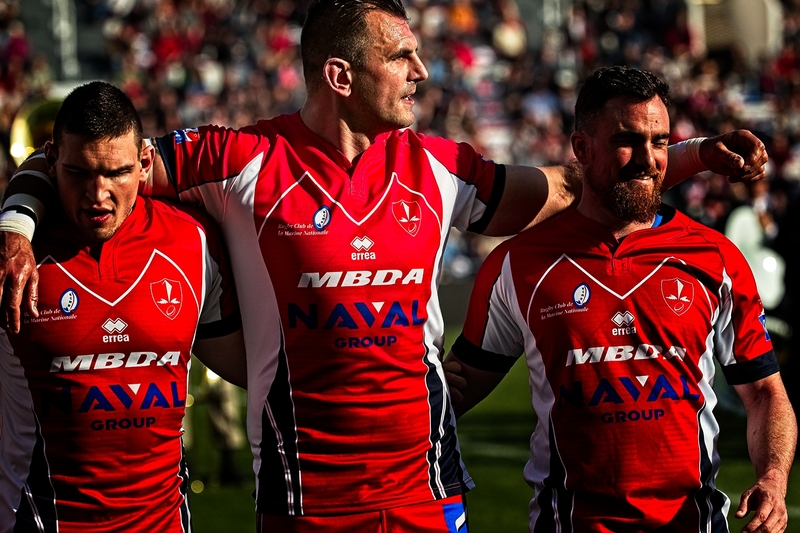 The Marine Nationale were comfortable with ball in hand from anywhere on the pitch. They regularly looked to play away from their own goal line with ball in hand. It was rare that their ball carriers lacked for support. 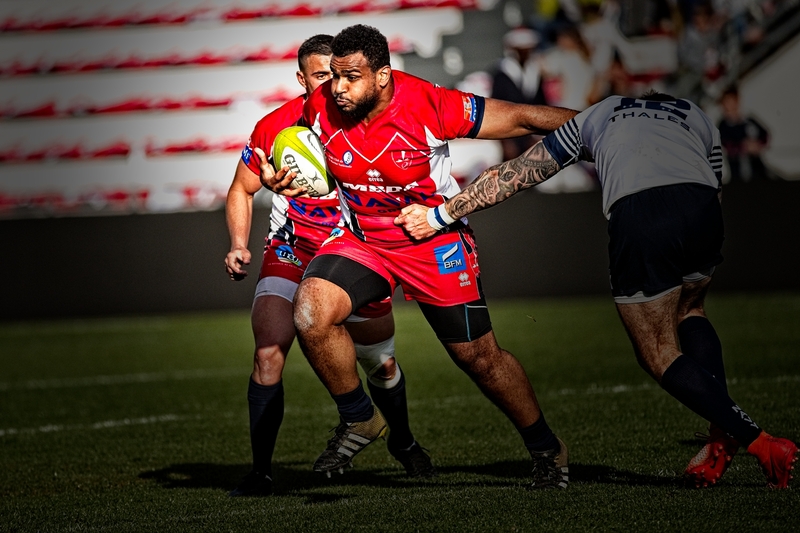 Often the subtle off load created the opening but if not then the same support were effective at the breakdown ensuring the Marine Nationale enjoyed quick ruck ball for most of the game. 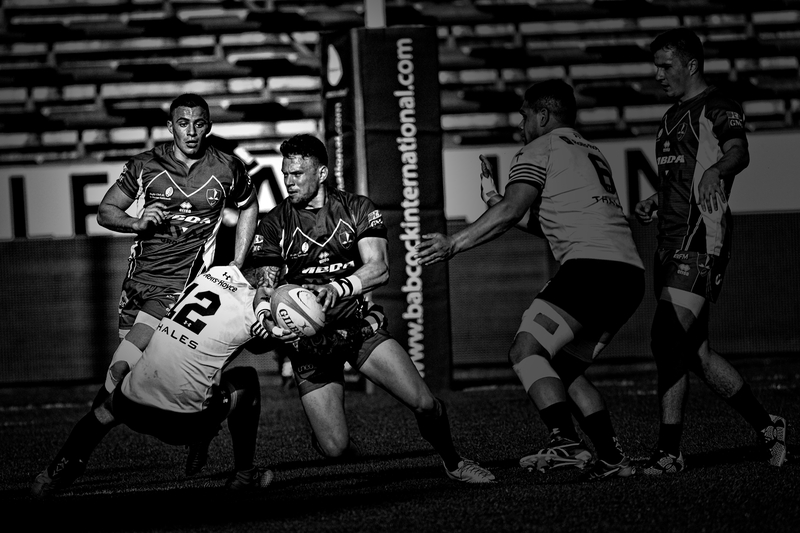 The Royal Navy started the second half quite brightly with some early pressure. However they could not make this pressure count on the scoreboard and a long range run in for the Marine Nationale killed of the revival and the match as a contest. To the victors the spoils. The trophy his held aloft and the celebrations begin.